It took eleven films and more than 40 years, but the Star Wars series finally got its first purely and unabashedly fun romp with the Western-heist flick "Solo: A Star Wars Story" (opening in theaters May 25). In short: Young Han Solo (Alden Ehrenreich) takes his first adventure in the underworld as he helps the outlaw Tobias Beckett (Woody Harrelson), his former lover Qi'ra (Emilia Clarke) and the suave smuggler Lando Calrissian (Donald Glover) in a heist to appease a ruthless crime lord (Paul Bettany). It's weird to put the "for what it is" disclaimer on "Solo," but because unrealistic expectations and "Star Wars" nerd rage is a thing, here we are: this Han Solo origin story is a perfectly fun and enjoyable ride with everybody's favorite smuggler. The fate of the universe isn't at stake - instead, "Solo" is a fun and personal ride with an unexpectedly upbeat young Solo who just wants to scrounge enough money to travel the galaxy with his girl. Yes, "Solo" lays on the fan service a bit thick: virtually all 135 minutes of the movie's runtime is crammed with as much of Solo's backstory as possible. Whole scenes are solely designed to show how Han got his name, met Chewie and got his iconic ship. The fact that the film bends over backwards to wedge in so many nods is a bit forced, but it's all in good fun - because the real treat is Ehrenreich's take on Solo. The fun of "Solo" is the youthful charm and brashness Ehrenreich brings to the infamous scoundrel. In the four previous "Star Wars" films Han Solo is featured in, he is characterized by a general gruff reluctance to do the right thing - it might be his nature, but the films distantly alluded to his misadventures that have informed him that sticking his neck out for others doesn't work out. This iteration, however, lacks that weariness, revealing a light-hearted, confident and charming young buck eager to provide his mettle to the galaxy. While "Solo" lays on the nostalgia a bit thick sometimes, young Solo's undeniable charisma and verve is the best surprise of "Solo." Glover might have stolen the film had Lando been featured more prominently - as it is, he's not introduced until well into the film, and his exit from the storyline is a bit underwhelming. Lando seems to be in the film for the sole purpose of revealing him as the first owner of the Millennium Falcon. Clarke and Harrelson carry a charm and depth to their morally flexible characters who are just trying to survive, serving as mirrors to the admittedly naive young Solo, a man driven by hopes and dreams. "Solo" doesn't have the dramatic depth of the best "Star Wars" films but it's not as convoluted and mired as other tedious sequels (looking at you "Attack of the Clones"). But even the best and most magical "Star Wars" films do not attempt to be as purely entertaining and fun as "Solo," which is a really weird realization to come to for a four-decade old franchise. Final verdict: The Han Solo origin adventure a fun ride with a beloved character that explores intriguing new corners of the well-known Star Wars universe. "Solo: A Star Wars Story" opens in theaters May 25. 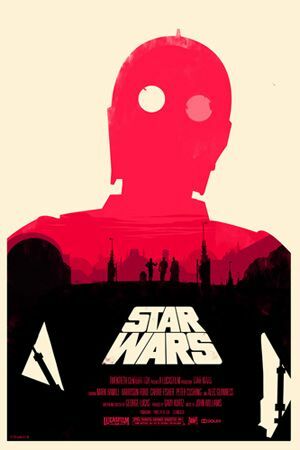 The latest "Star Wars" flick has a running time of 135 minutes and is rated PG-13 for sequences of sci-fi action/violence.